Welcome to our to math games section! These online games cover the basic skills needed for solving any math problem. Addition, multiplication, subtraction etc. and logic skills are the building blocks of further mathematical knowledge later on. And best of all they are free to play and will develop your children's appetite for math. Cannon Math - Help the family of acrobats perform their act by using your precision and math skills. Addition Attack - Destroy the UFOs using your addition skills by shooting the correct answers to the questions with your laser cannon. Arithmetic Puzzle - Solve the puzzle presented to you by chosing the numbers that validate the equations. Order the Balls - Prove you math skills by ordering the balls in ascending order. Three levels are included: natural numbers, integers and fractions! Dr. 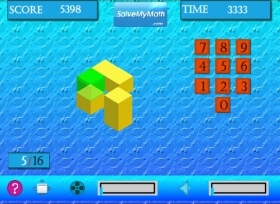 Brain - Help the doctor program his robot using your arithmetic skills. Math Lander - Land your spaceship on the correct landing pad by solving the math questions. Seesaw Logic - Find out the heaviest item based on their relative weights and develop your logic skills. More or Less - Interesting game where you have to ick up the most or least numbered group as fast as you can. Make Fractions - Improve your fraction skills with this game. Answer the fraction questions by counting the total number of parts and object is divided and the number of parts colored	 Bar Charts Game - Learn to make bar charts in three different types and have fun at the same time! Great learning tool for all! Country Flags - Identify the country who's flag you see on the screen to earn points and pass the levels. Alien Count - Improve your math skills and count the alien invaders in this fun math game. Mail Delivery - Help the small and quiet town of Quantum Village Mail by collecting the lost mail. Country Capitals - Identify the country who's capital city you see on the screen to earn points and pass the levels. Equation Begone -Subtraction - Help defend our planet from invading aliens by skillfully answering these math subtraction questions. Mutiplication Game 2 - Defend your ship and our planet from the alien intruders by destroying the alien ship containing the corrent answer to an equation. Mutiplication Game 1 - Assist our friendly farmer by helping him load the right number of sheep onto his tractor Addition Game 2 - Exercise your math addition skills while preventing the aliens from invading our planet. Addition Game 1 - Learn basic math addition and help out our tractor driver deliver the right number of sheeps. 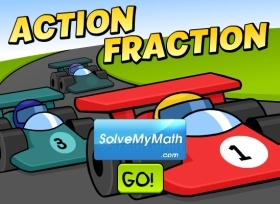 Subtraction Game 1 - Learn number subtraction online with this fun and easy-to-use math game.